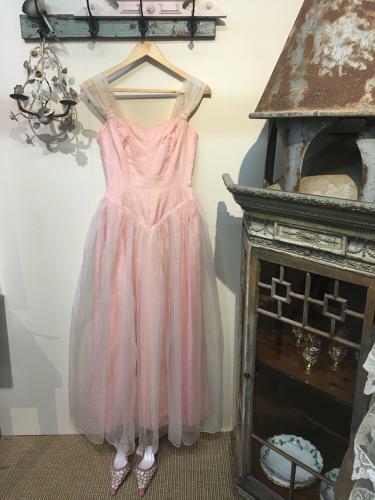 A beautiful pale pink 1950s evening/prom dress size 8/10. Maker Jonell, used by John Lewis from 1942 to 1955. (Jonelle was used from 1956).